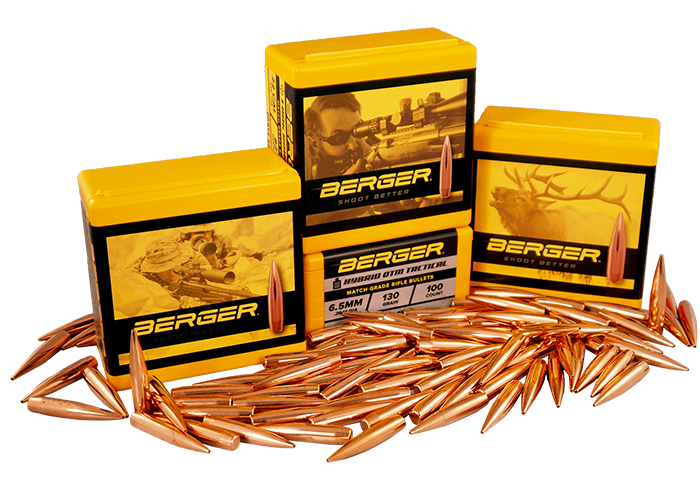 Thank you for your interest in Berger Bullets for your hunting needs! Match Grade Accuracy – Giving you the best chance at successful shot placement at the widest range of distances. Terminal Performance – using initial penetration combined with fragmentation and a massive transfer of energy to put your animal on the ground fast. This video doesn’t show a handful of perfectly executed shots, rather 28 minutes packed full of over 75 animals being harvested with Berger Hunting Bullets from short to long range. 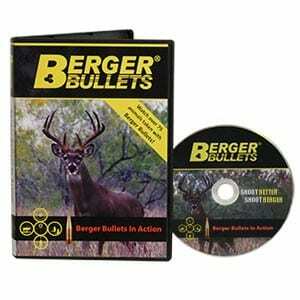 In addition, this DVD has numerous brief technical videos that further explain our bullets. 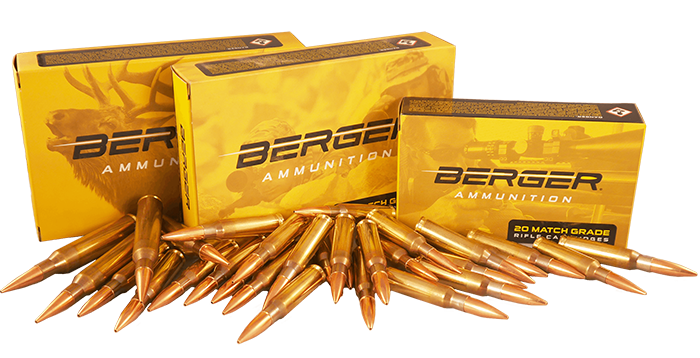 You will learn how they work, how they differ and some additional tips on how to use them in your hand loads. 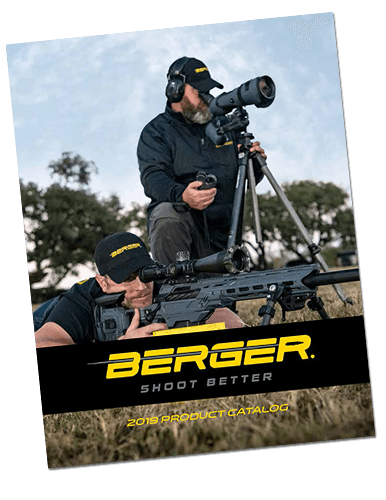 Call us at 660-460-2800 for your *FREE copy of our Berger Hunting DVD now! *Please note, some shipping and handling charges may be applicable to customers outside of the continental United States.